How to Extend the Life of My Fireplace or Stove? This entry was posted in Fireplaces on March 19, 2019 by The Original Flame Author. Once you invest in a wood stove, you want it to last a long time! The question is what needs to be done to ensure your fireplace or stove lasts long? Can you do it all by yourself or you need the assistance of experts? Well – of course, there are a few things, which you need to do, but many other things should be taken care of by experts only! So, when thinking about extending the life of the wood stove, there are a few basic things which you can do and for everything else, we are there for your help and support. We, at The Original Flame, offer not just installation services, but we also extend our support for post-installation services, which includes cleaning and maintenance. You might have all the skills, knowledge and expertise but professional installation is what helps in ensuring that your expensive wood stove or fireplace is installed properly and will run efficiently. If it is a wood stove, professional installation is important for safety and optimal operation. The stove and chimney experts know the exact fit requirements of the venting system. If it is not set up correctly, your fireplace or the stove might not run as efficiently. If you wish to use the stove or fireplace for a long period, professional installation helps in ensuring safety and reduces risks. Experts from Jotul believe that maintaining your home and chimney regularly are extremely important. When your wood stove or fireplace is well-maintained, it means great wood combustion and a wonderful view of the fire. If you choose to burn good quality dry wood and have your chimney is swept on a regular basis, the risk of a chimney fire is greatly reduced. In other words, if there is good regular maintenance, the life of the fireplace or wood stove extends. Can you see soot? Remove it from the Glass. There are many wood burning products which are now equipped with air wash systems to keep the glass fairly clean.glass sweeping system. It helps in keeping the glass clean during combustion. If you do notice soot build up on your glass it can generally be cleaned easily. Homeowners are often reluctant to remove soot from the window. In fact, the process is easy – All that needs to be done is use a damp, crumpled piece of paper or paper towel and dip this gently in the white, fluffy ashes present on the bottom. You can gently rub the crumpled newspaper on the glass. This process can be easily repeated till you find that all soot is gone. When completed, you can quickly wipe the glass with clean damp paper towel so that you can remove the particles. Well – that’s an ecological and economical method! Does Removing The Ashes Help? How often do you empty the ashtray? There is a common belief that the ashtray needs to be emptied as quickly as possible. Most homeowners do this as a part of their daily activities. Do you do the same? Well, it might give you a feeling that you are doing the necessary clean-up, but the fact is that a portion of the ashes can help in ensuring the longevity of the stove. However, it’s important to have about a 1’2”layer on bottom of the fireplace. This layer helps in protecting and insulating the combustion chamber as well the ground. Such ash also works as a good insulation for the ground. In fact, when you choose to leave behind some ash, it helps in lighting the charcoal pieces which are left behind. Ashes are non-inflammable because these are mostly minerals but keep in mind that there may still be some hot coals hiding in the ashes! Annual Maintenance – Should Never to Be Ignored! Annual maintenance of your stove or fireplace is quite important. Our team suggests removal of baffle when your chimney is cleaned to make sure there is no buildup of ash and backing plates to ensure that these are in good condition. Clean all of the ash out in the spring so you can check the condition of the inside of the firebox for any bricks or parts that need replacing. You need to check the condition of the firing grate and ash. You can also brush the soot particles present there and the firebox. Once you do this, you might notice parts which are damaged and need to be replaced as well. Now, the question arises, what should be the frequency of maintenance? This depends on the frequency of use and power. Do not miss checking the gasket seal condition present around the glass and door. You can replace it, if necessary. You can check the door gasket by putting a piece of paper in the door and closing it. If it pulls out easily your gasket needs to be replaced. If it is snug then you are good for another year. 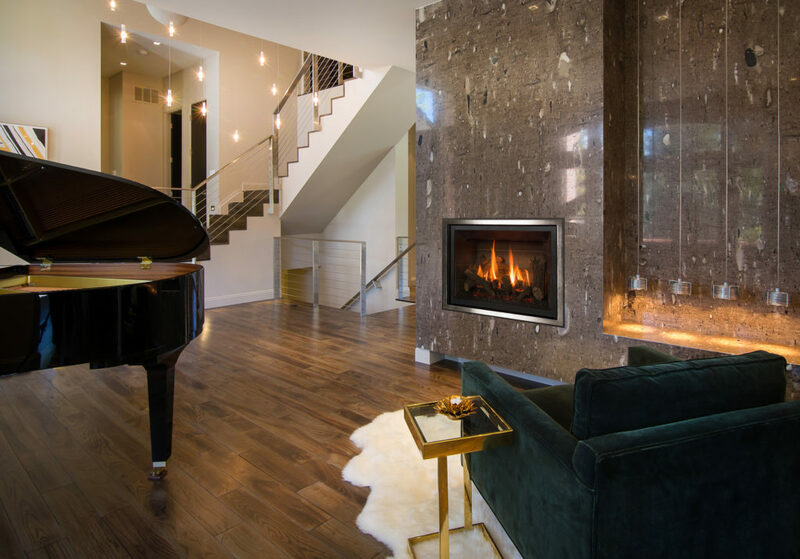 Thus, the ideal way to ensure that everything is working fine, is to have your fireplace or stove inspected once a year, if you are regularly using it. Chimney Waterproofing – How Effective is It? Do you know that one of the biggest enemies of a brick chimney is water? It can cause complete destruction if it continuously slips through the mortar brick walls. When you choose to waterproof the chimney, you can apply a waterproof sealant to the brick walls. It will quickly prevent water from entering, which helps in increasing the life of the chimney. It’s a good option to have a chimney cap installed and a chimney flashing. This will help in getting set for any kind of weather. A chimney cap is a smart option which helps in keeping away obstructions. These might be in the form of birds and nests, spider nests, fallen leaves, small animals and more. These were just two ways which can help you in extending the life of your chimney. Our experts are available round the clock. They help to provide you any kind of assistance which you might need to extend the life of your chimney. With time there will be damages, leaks and cracks and we can do very little to stop this. Thus, it is always recommended to save our number on your priority number list. Thus, help is just a call away! Our licensed experts will help in installing, repairing and replacing any part which needs attention.